Meet Jim. He runs a highly successful widget company that's making money faster than he can count it. He wants you to count it for him. The trouble? His executive desk holds a laptop crammed with 300+ bookkeeper resumes. In other words, he doesn't know who you are, or whether you can tell a bad debt from a balance sheet. You've rewritten your bookkeeping resume enough times to give carpal tunnel to Jillian Michaels. Yet it's still generic and uninteresting. Jim's eyes will slide off it like Scrooge McDuck off of a giant pile of coins. A bookkeeper resume example better than 9 out of 10 other resumes. How to write a bookkeeper resume that gets a lot more interviews. Tips and examples of how to put skills and achievements on a bookkeeping resume. How to describe your experience on a resume for a bookkeeper to get any job you want. 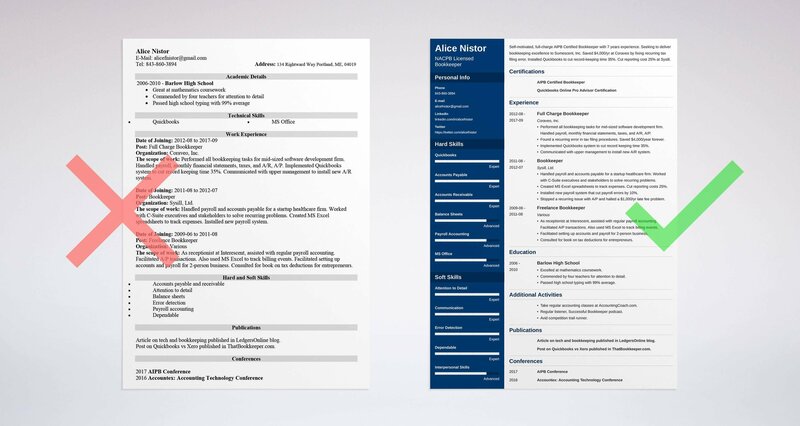 Here's a sample resume for a bookkeeper made using our resume builder. 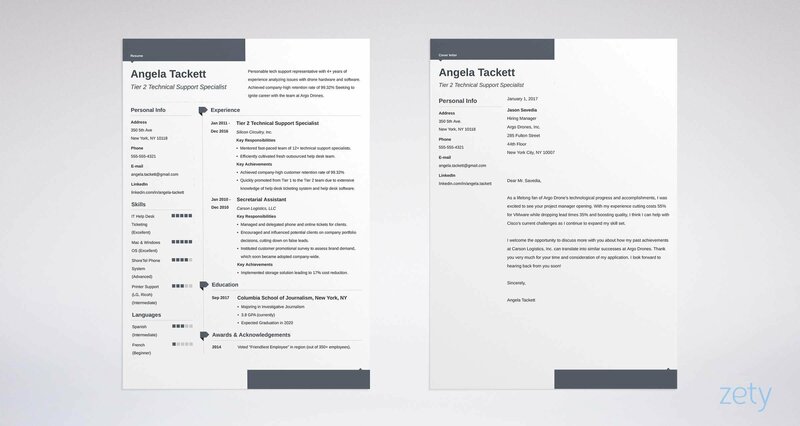 Bookkeeper Resume Example - See +20 resume templates and create your resume here. What's the Best Format for a Bookkeeper Resume? You crammed all your best achievements into a great bookkeeper's resume. You sent it off to that dream job with the on-site gym and flexible hours. Then you sat and waited while your phone refused to ring. It wasn't your experience or skills. You picked a bad bookkeeping resume format. It hid your shining qualities like diamonds in a lump of ore.
You need to grab that manager's attention like a $100 bill left on the sidewalk. Use a trusted layout like the reverse-chronological format. It puts your best assets up front. Use clear fonts, big headings, and white space for contrast. Finally, save it as a PDF. Bookkeeper resume PDFs preserve their formatting between machines. MS word format resumes can devalue in transit. Pro Tip: Most modern PDFs are electronically readable, but some job offers still prohibit them. Check if the offer rejects bookkeeping resume PDFs. Want to audit our format suggestion for bookkeeper's resumes? See this guide: "3 Resume Formats: How to Choose the Best One [Examples]"
Remember Jim? The guy with the successful widget company? The more those other resumes annoy Jim, the less attention he will pay them. That means your resume will hook him like a 10-figure bottom line. How? With a well-written resume objective or resume summary. A resume summary shows a snapshot of your experience. It's for bookkeepers with spreadsheets-full. A resume objective is for those who have none. It sells based on energy and passion. Check out these two bookkeeper resume samples to see what I mean. Bookkeeper with 6 years experience. Skilled in A/R, A/P, payroll, MS Office, Quickbooks, balance sheets, and general ledger. That's not exactly the 1929 stock market crash. But stacked up against the others, it'll blend in like one bean in a million. You need to stand out like the Hope Diamond. That's easy with a few eye-catching details. Self-motivated, full charge AIPB Certified Bookkeeper with 7+ years' experience. Seeking to deliver bookkeeping excellence to Sumescent, Inc. Saved $4,000/yr at Coraveo by fixing a recurring tax filing error. Installed Quickbooks to cut record-keeping time 35%. At Sysill, cut reporting cost 25%. Pow. Money, right? The details catch the eye. Jim the hiring manager just let out a sigh of gratitude. His long search is finally over. Don't have that kind of experience, you say? You're writing an entry-level bookkeeper resume, you say? Fear not. See if you can reconcile our next two bookkeeping resume samples. Even with no experience, your bookkeeping assistant resume doesn't have to look like an empty credits column. First, avoid the generic, cooked-cabbage-style resume objective. Bookkeeper with skills in Quickbooks, MS Excel, MS PowerPoint, MS Outlook, payroll accounting, accounts receivable, accounts payable. Very enthusiastic and ready to start. Not awful, but our intrepid hiring manager won't choose it from 300+ bookkeeping resumes. He wants details, and proof. Bookkeeper with experience in weekly payroll accounting and accounts payable at a small company. Assisted in setting up payroll and accounts for a startup. Consulted on tax deductions for a book on small business concerns. Not exactly ready to do A/R for the Koch Brothers, but miles better than a total noob. But wait. Didn't we just say a resume objective is for entry-level bookkeepers? You know, people with no experience at all? It's true that entry-level means no work experience. But look again. That bookkeeper hasn't held a bookkeeping job yet. Want to see her secret? It's in the next section on resume experience. Pro Tip: Make your professional bookkeeper resume objective or resume summary short and tantalizing. The hiring manager should think, "Wow, I've got to read more." If you step through the first, you'll get a bookkeeping resume that shows all your work experience. It'll wow the hiring manager, but he'll never read it, because it's too long. Take the other, and your bookkeeper resume will be short and engaging, but it won't show your experience. Either way you won't get the job. That's where your resume is short, fun to read, and lists only the experience the manager wants. First, read the bookkeeping job description carefully. Highlight the qualities they mention. Next, think about past jobs. Did you demonstrate those qualities? List the proof in your resume bullet points. The job offer wants a full charge bookkeeper who can handle error detection, communication with upper management, and Quickbooks implementation. Performed all bookkeeping tasks for mid-sized software development firm. Handled payroll, monthly financial statements, taxes, and A/R, A/P. Found a recurring error in tax filing procedures. Saved $4,000/year forever. Implemented Quickbooks system to cut record-keeping time 35%. Communicated with upper management to install new A/R system that resulted in 25% less phone time. Bullseye. This is no bean counter. This applicant could reconcile the national debt. Now let's strip out the details to get a more typical bookkeeping resume example. Performed all bookkeeper duties in a mid-sized software development firm. In charge of all payroll accounting. Handled accounts payable, including all billing. In charge of sending out bi-monthly payroll checks. Oh-oh. How did Kevin from The Office slip his resume into the pile? Next, what if your experience ledger still hasn't been inked? Nobody wants to hire a bookkeeper with no experience. The good news? That's not you, and I can prove it. First, look in your non-bookkeeping jobs for relevant experience. Next, spend a day or three volunteering or taking temp work. As receptionist at Interescent, assisted with regular payroll accounting. Helped with A/P transactions. Also used MS Excel to track billing events. Facilitated setting up accounts and payroll for a new 2-person business. Consulted for book on tax deductions for entrepreneurs. Pow. Hired. 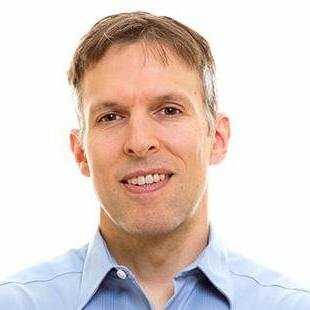 This candidate could be doing Mark Zuckerberg's books in a few years. But all it took was a couple days of side work and a hard look at her past. It's worth thousands more than the next of our entry-level bookkeeper resume samples. Bookkeeper Experience: No work experience yet, but I'm studying accounting on my own. Eww, right? You wouldn't let that guy count Monopoly money. But all that bookkeeper resume lacks is a little head-scratching to make it shine. Pro Tip: Experience is key on a resume for a bookkeeper. If you don't have it, take some accounting classes in person or online. Even free online tutorials can help. Want to give your bookkeeping resume experience section a high opening balance? See this guide: "How to Put Achievements on a Resume - Complete Guide (+30 Examples)"
If you've got experience, education doesn't matter. That's true, but you're doing it wrong. Your education is another chance to show your worth. If you discount it, it's like having a gold brick, then just using it as a paperweight. But the real payoff is in the bullet points. Read the job offer. See what they're looking for. Then brainstorm achievements that fit. Let's say the job offer wants attention to detail and solid math skills. Which of these bookkeeping resume samples works best? Why bother, right? The hiring manager just shrugged. Commended by four teachers for attention to detail. Passed high school typing with 99% average. The real beauty is, anyone can do it. It just takes a little thought. Even a high school student can take accounting 1 and 2 at a local vocational school or online. Then, as you gain experience, consider working toward your Bachelor's or Master's. Once you do, you're just a few steps from an accountant resume. Pro Tip: Should you add GPA to a resume for bookkeeping? If it's above 3.7, it shows dedication, so list it. If not, cut your losses. To make your bookkeeping resume education section shimmer like Fort Knox, see our guide: "How to Put Your Education on a Resume [Tips & Examples]"
Back to Jim, our hiring manager. He just printed your bookkeeper resume so he could mash it into a ball. He'd read 200 resumes with skills lists as long as Bill Gates' tax return, and he snapped. The hiring manager doesn't want to see every skill in the book. He just wants the few in the job offer, plus a couple more. The job description calls for skills in payroll, error detection, and MS Excel. You'll list those, plus communication and A/P. Handled payroll and accounts payable for a startup healthcare firm. Communicated with C-Suite executives and stakeholders to solve recurring problems. Created MS Excel spreadsheets to track expenses. Cut reporting costs 25%. Installed new payroll system that cut payroll errors by 10%. Stopped a recurring issue with A/P and halted a $1,000/yr late fee problem. Wow. Your stock just went up. You could crunch numbers for Goldfinger. Need a bookkeeper skills list to start with? Use this one. Add to it from job offers online, and from your own experience. With the plan above, you could get work doing payroll for Jeff Bezos. Pro Tip: Don't make an exact list of the skills in the job description. That's cooking the books. Add a couple items the manager didn't mention. Want to mark up your skills section? Follow the sample bookkeeper resume template up top. Also, see this guide: "+30 Best Examples of What Skills to Put on a Resume (Proven Tips)"
Do you need a certification to be a bookkeeper? Do certifications look good on a bookkeeping resume anyway? Yes. If you show them right. List an AIPB or NACPB certification after your name. Then put it in a special certifications section just under your summary. Of course you don't need both an AIPB cert and an NACPB license on a resume for bookkeepers. We showed them both for effect. Pro Tip: A bookkeeper resume with Quickbooks experience instantly raises your value. That's because 29 million U.S. businesses use Quickbooks. Congratulations! You're in the top 50 resumes on the manager's desk. The problem? They're all pretty much the same. How do you stand out like Smaug's pile of gold? With "other" sections in your bookkeeper resume. List awards, publications, accolades, testimonials, test results, conferences, or anything else that sells your strengths. Even hobbies can show passion. Take regular accounting classes at AccountingCoach.com. Weekly listener, "Successful Bookkeeper" podcast. Article on tech and bookkeeping published in LedgersOnline blog. Post on Quickbooks vs Xero published in ThatBookkeeper.com. Nice, right? This isn't Bob Cratchit's bookkeeper resume. This is a fledgeling accountant whose entire focus is on keeping track of money. How does the trail running fit in? It shows discipline and fitness. I love dogs and parties. Yipe. Who's that, Louis from Ghostbusters? Your "other" sections should show bookkeeping is more than just an 8-5. Pro Tip: If you're an entry-level bookkeeper, consider starting at a smaller company. You can get to full charge a lot faster that way. Need more help to build great "other" sections for a good bookkeeper resume? See our guide: "+20 Best Examples of Hobbies & Interests To Put on a Resume (5 Tips)"
"Nobody reads bookkeeper cover letters." What they read is bookkeeper "how I can help you" letters. Use the manager's name to get attention. Mention a fact about the company you like, if you can find one online. Show how your bookkeeping skills can help. Prove you understand the company's goal for the job. Then list a detail or two from your past that shows how you can nail it. I was very excited to see Centilane, Inc. is seeking a full-charge bookkeeper. I've always been impressed with Centilane's commitment to Continuous Improvement, and I think my background in applying Lean Business principles to bookkeeping at Sysill will help me grow into the role. That's it. End with a call to action like, "I'd love to talk more with you about your needs." Pro Tip: Follow up on your perfect bookkeeper resume and cover letter within a week. A nudge at the right time can give you a second chance at getting hired. Want more dollars-and-cents-level advice for how to write a bookkeeping cover letter? See our guide: "How To Write A Cover Letter [Complete Guide With Examples]"
Is your bookkeeper resume contact info overdrawn? "Professional" means nobody will hire SillyGoofNerd13498243@yahoo.com to handle the finances. The real trick? Add your LinkedIn profile. If your competition has one and you don't, the manager might consider you spare change. Pro Tip: Don't let that political rant from last November sink your hopes of getting hired. Use our guide to cleaning up your online presence here. Want a great guide to help in your bookkeeper resume quest? See this article: How to Make a Resume: A Step-by-Step Guide (+30 Examples)"
Read the job description. Highlight the bookkeeper qualities you see there. Then prove you own them in your bullet points. Put a bookkeeper resume objective or summary just below your contact info. Don't just list your bookkeeper skills. Salt them throughout your experience and education sections. Add "other" sections to your bookkeeping resume that prove you fit the job like a custom-tailored A/R spreadsheet. Do you have questions on how to write a great resume for a bookkeeper? Not sure how to describe your skills or achievements? Give us a shout in the comments! We love to help! See a job-winning bank teller resume sample. Get bank teller resume objective, job description, and skills examples. Land more interviews!